Diehard John le Carré fans should know this: The master is back in top form. But the collapse of communism pulled the rug from under the feet of writers such as le Carré. Moral ambiguity was replaced by Western triumphalism. Certitudes replaced complexities. Le Carré went off in search of new themes and villains—from arms dealers to multinational drug companies. None would prove to be worthy replacements for the KGB and its spymasters, such as the legendary Karla. One read his seven novels after The Night Manager with the slender hope that he would regain the heights of The Spy Who Came In From The Cold or Tinker Tailor Soldier Spy—but disappointment was the most common response at the end. 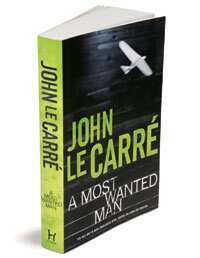 A Most Wanted Man is le Carré’s best novel in a decade or so. It is set in Hamburg, the town in Germany that was once home to 9/11 bomber Mohammad Atta. Into the town comes Issa, a half-starved and half-crazed fighter from Chechnya who has the key to a secret account in a private British bank. This account—named after a horse that is born black and turns white later in life, just as ill-gotten wealth does—is under the care of a British banker named Tommy Brue. And then there is Annabel, a German pro bono lawyer who will do her utmost to prevent the deportation of Issa to either Russia or Turkey, where he is a most wanted man. All seems to go well till a bunch of spies from three countries crash into the emerging love triangle between Issa, Tommy and Annabel. They want to use the three to entrap an Islamic preacher, a moderate who is suspected of funding jihad on the side. The cold and convoluted logic of the spies drives the story to a tragic end. 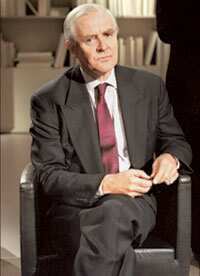 There is no doubt in my mind that A Most Wanted Man signals le Carré’s own return from the cold. And there is perhaps reason for a wider arc of hope as well. The 9/11 attack on the US and the subsequent war on terror has resurrected the spy. Western intelligence was astonished that it was almost clueless that an attack of that magnitude was being planned. The espiocracy (le Carré’s term) realized it had depended too heavily on digital toys rather than good men on the ground. 9/11, says 77-year-old le Carré, “warned them that however many of the spies’ wonder-toys they had in their cupboards, however many magic codes they broke, and hot signals chatter they listened to…in the end it was the spurned imam, the love-crossed secret courier, the venal Pakistani defence scientist, the middle-ranking Iranian military officer who’s been passed over for promotion, the lonely sleeper who can sleep alone no longer, who between them provide the hard base of knowledge without which all the rest is fodder for the mind-benders, ideologues and politopaths who ruin the world." The CIA and its allies cannot break into the Al Qaeda network through technology; they need insiders on the take or disillusioned jihadis to cross over to their side. They need secret agents. This is good news for spy fiction. The best espionage stories emerge from observing human foibles rather than celebrating new technologies. Some writers such as Alan Furst have taken refuge in another age, writing about the 1930s, a time when spies overran a Europe that was spinning out of control. Le Carré did not take that path and try to revisit the world of George Smiley. He stumbled ahead— sometimes unsuccessfully—and has in the process shown the way forward for writers of contemporary spy thrillers. The post-9/11 world will hopefully provide a rich vein for the next generation of spy writers to mine.